Not everyone knows what wisdom teeth are and why they suddenly appear, but most people want to remove them as soon as they erupt. While that might be unnecessary, some people experience pain because of the mysterious new teeth. If you’ve been experiencing wisdom tooth pain, keep reading to learn about its causes and treatment. 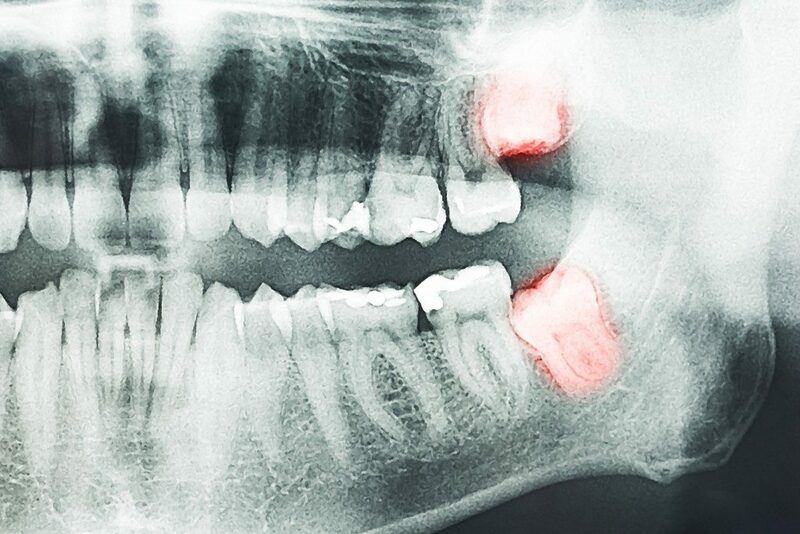 What causes wisdom tooth pain? Wisdom tooth pain occurs for some reasons. For one, the pain might merely be growing pains where the teeth are breaking through your gums, causing slight soreness and swelling. Usually, there’s no room left in your mouth for wisdom teeth, causing them to become impacted. Impacted teeth can result in pain, damage to other teeth, and more dental problems. Furthermore, impacted wisdom teeth are prone to infection or cavities since they grow very close to neighboring teeth. Infected impacted wisdom teeth can cause swelling in the gums, bad breath, jaw pain, bleeding gums, an unpleasant taste in your mouth, or difficulty opening your mouth. A cyst can also grow at the impacted tooth’s follicle, which causes pain and damage in the tooth and jawbone. Furthermore, the location and lack of space of wisdom teeth make them harder to clean, making you prone to cause gum diseases and other infections. How can you treat wisdom tooth pain? The best thing to do once your wisdom teeth cause you pain is to have them checked by a local dentist. Your dentist can perform necessary X-rays and see whether your wisdom teeth indeed cause the pain. If needed, you can also see an oral surgeon in Salt Lake City to have your wisdom teeth removed. There are also pain management techniques that you can try at home while you’re waiting for your surgery. Warm salt water rinse. This is a recommended remedy by dentists as it’s not only effective, but it’s also effortless. All you have to do is add two tablespoons of salt in a glass of eight-ounce warm water and stir. Rinse with the brine solution for a few minutes, and then spit it out. Do this every few hours for the best results. Cucumber slices. Take a cucumber and slice it into smaller pieces. Then, store these pieces in the fridge. Whenever you feel pain in your wisdom teeth, take a cucumber slice and put it in your mouth directly on the infected tooth. The coolness of the slice will soothe the ache. Plus, cucumber tastes great! Tea bags. Tea bags are helpful if swollen gums around the infected tooth cause the pain. What you can do is brew a cup of tea and leave the tea bag inside the container. Place the cup in the fridge, and once it’s cold, take the bag and place it directly on the hurting gum. The anti-inflammatory properties found in tannic acid and the coldness of the tea bag will reduce your gum pain. Apply ice. You can also apply an ice pack on the swollen area. This will relieve your pain and cause the inflammation to go down. If your wisdom teeth are giving you trouble, it’s best to consult a dentist to have a proper diagnosis. These homemade remedies can bring temporary relief, but it’s essential to address the root cause of the issue as early as possible.